A Montana vacation means reel fun. From mountain lakes stocked with deep-water lunkers to the roaring waters of the Flathead River packed with trophy-sized trout, Whitefish fishing is an anglers dream. 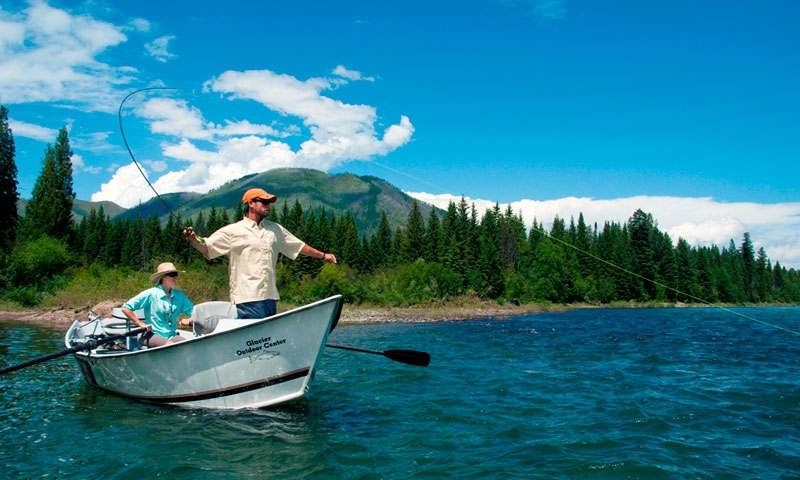 Guided fishing trips on mountain lakes, the Swan and Flathead Rivers. We love introducing fly fishing to visitors, and showing families how much fun fishing can be. Come catch rainbow, brown and Westslope cutthroat trout on the Middle Fork of the Flathead. Our guides love introducing the sport to visitors for the first time. Fly fish for Cutthroat Trout on the Middle and North Fork of the Flathead River. Beginner or advanced, our expert guides will land you on fish. Full day to Multi-day Trips. Premier guide service for Flathead and Glacier vacationers looking to try fly fishing, or seasoned anglers looking to catch the area's best fish. River & Lake fishing. 1/2 and Full-Day fishing charters for groups up to 6 people. Using the best gear and with a knowledgeable Captain & Crew, you'll bring in the big guys with us. The only outfitter-owned fly shop in the Flathead Valley. 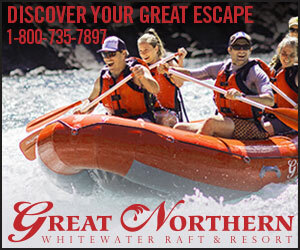 We offer float trips on over a dozen rivers nearby. Beginners welcome. A charter boat company on the Flathead Lake, offering guided fishing trips. Half day, full day, and twilight trips available from Bigfork. 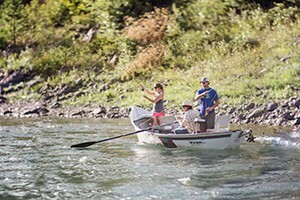 Drift boat, wade & raft & hike fishing trips to rivers in Northwest Montana including the Flathead, Missouri and the Blackfoot. Experts to beginners welcome. 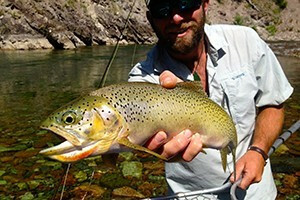 Our outfitters are permitted to guide on Montana’s premier waters. We can help you explore the 3 forks of the Flathead and the Main Stem. Guided boat fishing trips on Flathead and Koocanusa Lakes, fun for all ages catching pike, lake and rainbow trout. 1/2 or full-day trips. Located near uptown Kalispell, Mystique Fly Shop is your last best place for all your Flathead Valley fly fishing gear and information. Dedicated to providing quality northwest Montana guided fly fishing trips on many of the Glacier area's most famous waters. We enjoy experts to novices, adults to kids. 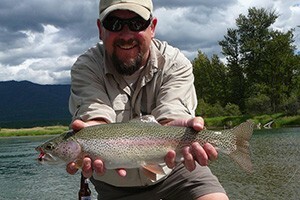 Providing anglers with one-stop guide & fly shop services in Whitefish, and guiding on best public and private waters. Excellent references. Famous for its trophy-sized trout, Flathead Lake’s depths are best fished by boat. For a peaceful day of fishing check out of the 18 lakes which make up the Thompson Chain of Lake, with Upper and Lower Thompson Lakes being two of the most popular. Travel deep into the heart of grizzly bear country and fish for cutthroat trout on the shores of the Middle Fork. As the largest natural lake in the West, Flathead Lake draws visitors from all over to its shimmering shores. The 197 square mile lake is famous for its trophy-sized lake trout. Location: From Kalispell take Highway 2 east to Highway 35. 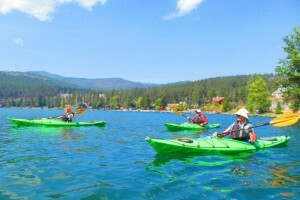 The west side of the lake is accessible from US Highway 93 between Polson and Kalispell. Seasons: Year-round. Most of Flathead Lake freezes by January, however it doesn’t entirely freeze through. Marina/Boat Launch: There are five marinas; Arrowhead, Bigfork, Big Arm, Lakeside and Marina Cay. As well as five State Park boat launches. Boat Restrictions: Flathead Lake is open to all watercraft. Camping: Five state park campgrounds with a total of 129. Each site has a picnic table and fire grate. 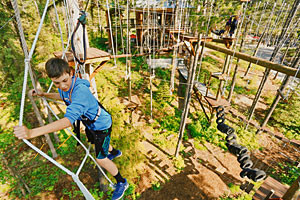 Some sites will accommodate camping units up to 40 feet long. A RV dump station is located at Wayfarers State Park. Showers are available at Big Arm and Wayfarers. Boat slips have electrical and water hookups. Fishing: Fly fishing from the shoreline is not popular on Flathead Lake, until September when trout are closer to the shore. Throughout the summer, fishermen enjoy fishing for huge lake trout, rainbow trout, whitefish northern pike and bull trout. At its deepest point the lake reaches 369-feet, so a boat is necessary to fish for lunkers. Nestled between Kalispell and Libby, the Thompson Chain of Lakes consists of 18 lakes, with Lower Thompson and Upper Thompson Lake being two of the most popular. The chain of lakes stretches for 20-miles and features 19 campsites. Marina/Boat Launch: Concrete boat launches are located at both Upper and lower Thompson Lakes. Boat Restrictions: Motorized and non-motorized boats allowed. Camping: Primitive campground available. Toilets. No potable water. Fishing: Upper and Lower Thompson Lakes are small so they provide great shoreline fishing, as well as from a boat. These lakes are a favorite with locals for excellent largemouth bass fishing. Rainbow and brown trout are also found here. Although it’s famous for its wild whitewater rafting, the Middle Fork of the Flathead River also offers good cutthroat and bull trout fishing, especially along the wilderness portion below Essex. Put-Ins: Popular put-ins are located along Highway 2 between Essex and East Glacier. Seasons: Fishing is best in July, August and September after the spring run-off. Rapids: The big rapids are located below Moccasin Creek to West Glacier. Look out for the class-IV rapids called “Jaws”. Fishing: Below Essex fishermen can find large sized cutthroat trout, either by raft or from the shore. Access for wade fisherman is excellent here. It doesn't entirely freeze, but most bays do. Whitefish, lake trout, yellow perch, and cutthroat are common. Great for ice fishing starting late December. Look for whitefish and lake trout. Perch are most common here. Keep a look out for rainbows. Yes. A conservation and fishing license are needed to fish Montana waters and can be purchased at most sporting goods stores, along with the local regulations. In addition to State licenses, to fish tribal water you will need a tribal license. Montana Department of Fish, Wildlife and Parks requests that anglers practice catch and release with cutthroat trout. Most rivers open for fishing in late-May and close the end of November. Most lakes are open year-round. To make the most of your fishing trip get an insider tips and advice by using a local guide. Even the most experienced angler can benefit from a local guides’ expertise. 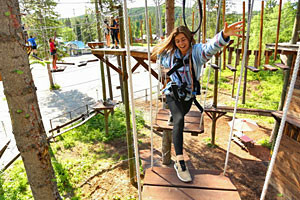 There are over a dozen guides located in Whitefish, Kalispell and West Glacier.